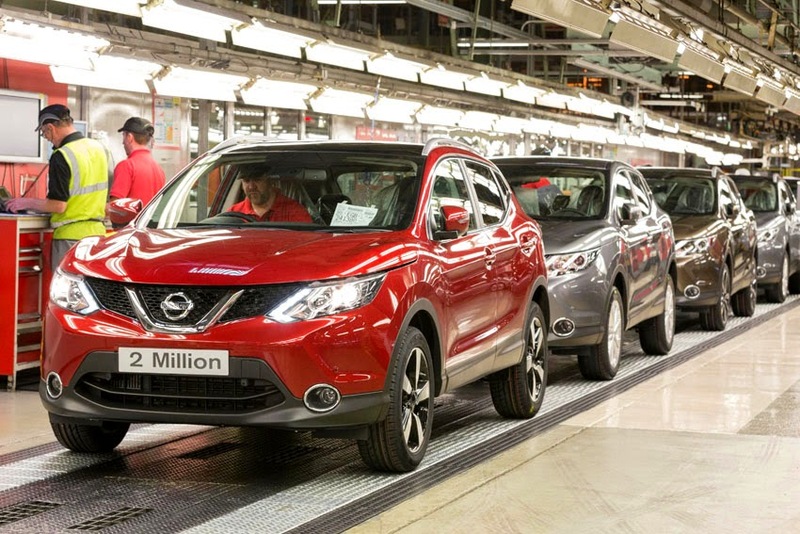 The Nissan Qashqai has once again made automotive history after production at Nissan's plant in Sunderland, UK passed two-million units in record time. in Europe. Sold around the world and now hitting two-million production units, it truly is a global success story for European design, engineering and manufacturing," said Paul Willcox, Chairman, Nissan Europe. "Congratulations to all my colleagues in Sunderland for reaching this latest milestone. I am now looking forward to seeing how quickly we can reach three-million units with this remarkable model, which embodies Nissan's promise to bring innovation and excitement to our customers." The two-millionth Qashqai to roll-off the production line was a Magnetic Red model in the new N-TEC grade and is destined for a UK customer. Introduced last month, the new grade includes unique new styling features as well as Nissan Safety Shield technologies like Forward Emergency Braking, Traffic Sign Recognition, Lane Departure Warning and High Beam Assist.